Pump, direct drive - Two large ports, with flapper valve. Whirlpool and Kenmore washers. 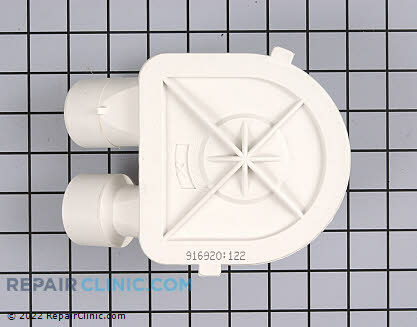 Part Number 3363892 (AP2908525) replaces 3352496. 110.26952690, 110.27982790, 11026952691, 11028932790, 11028932791, 11028934790, 11028934791, 11028942890, 11028942891, 11028944890, 11028944891, 11028972890, 11028972891, 11028974890, 11028974891, 11080764000, 11092370200, 11092962100, 11092962101, 11092962102, 11092964100, 11092964101, 11092964102, 11092966100, 11092966101, 11092966102, 11092972100, 11092972101, 11092972102, 11092974100, 11092974101, 11092974102, 11092976100, 11092976101, 11092976102, 11098762792, 11098764790, 11098764792, 11099576200, 11099576400, 2DLSQ8000JQ0, 2LSR5233BQ1, 2LSR5233BQ2, 2LSR5233BZ1, 2LSR5233BZ2, 3CAP2762BN0, 3CAP2762BW0, 3CAP2782BN0, 3CAP2782BW0, 3LBR5132BW1, and more.